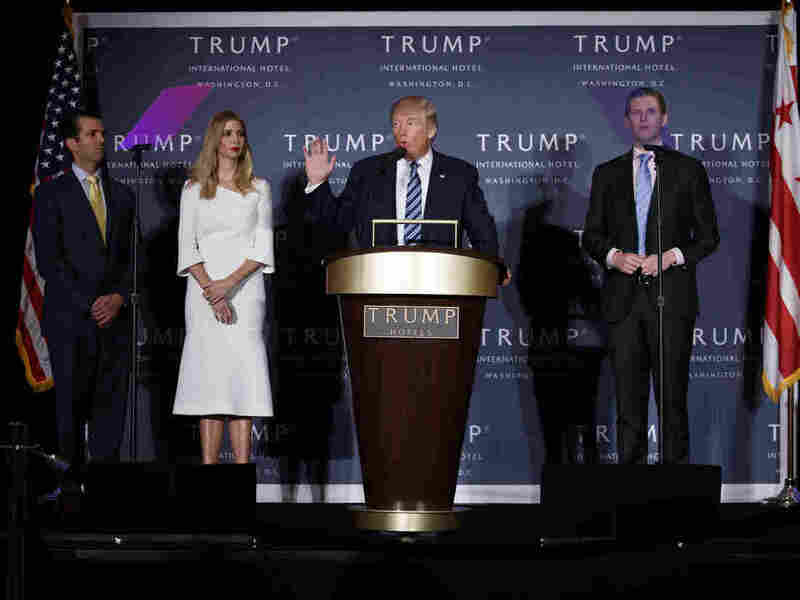 New York AG Presses Forward With Suit Against Trump's Charitable Foundation The state attorney general's office sued the Donald J. Trump Foundation in June, accusing it of repeatedly violating state and federal laws, but the foundation says the suit is politically motivated. Donald Trump, accompanied by Donald Trump Jr. (from left), Ivanka Trump and Eric Trump at an event in 2016. New York Attorney General Barbara Underwood says the younger Trumps had exercised no real control over the Trump Foundation's activities, despite being nominal board members. In August, the foundation asked the New York State Supreme Court to dismiss the suit, denying that it had violated any laws. The foundation said the suit was politically motivated and that Underwood's predecessor, Eric Schneiderman, who initiated the investigation, had vowed to "lead the resistance" against Trump. Schneiderman resigned in May following allegations of physical abuse against women. Underwood said in Thursday's filing that the foundation had misrepresented the claims against it and urged the court to allow the case to proceed. Underwood is asking the court to dissolve the foundation and is seeking $2.8 million plus additional penalties.